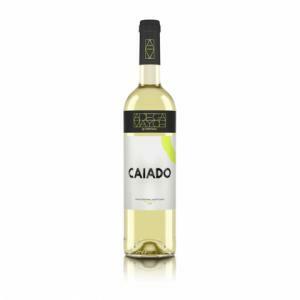 Adega Mayor produces this Adega Mayor Caiado Branco 2017 (£3.92), a white wine from Alentejo produced with verdelho, roupeiro, antão vaz and arinto from the 2017 vintage and has an alcoholic strength of 11%. According to Uvinum users, this white wine earns 4 out of 5 points. - View: pink peach blossom. - Nose: aromas of delicate flowers, elegant notes of wild berries. - Mouth: fruity and light palate, a pleasant freshness and flavor. GRAPES: Corvina Veronese 50%, Rondinella 35%, Molinara 15%. PAIRING: with all kinds of pizzas. 15 pts Revista de Vinhos - This is a citrine colour wine boasting a jovial and fruitful bouquet. The nose suggests pineapple, citrus fruit and some floral notes. In the mouth, it amazes with its expressivenes, balance and freshness. Friends, chat, Adega Mayor Caiado Branco. A perfect combination. 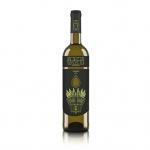 If you want to buy Adega Mayor Caiado Branco 2017, at Uvinum you will find the best prices for Alentejo white wine. At Uvinum, at the best price, 100% safe, fast and easy. We bring you the largest catalog of more than 59.000 products becoming this way the biggest company to sell wine, beer, and spirits online in Europe with over 38.000 clients trusting us.